Mars at its brightest during opposition with the Earth. This occurs when it is in line with the Sun and the Earth. It appears here rising next to the star Spica in the constellation of Virgo. 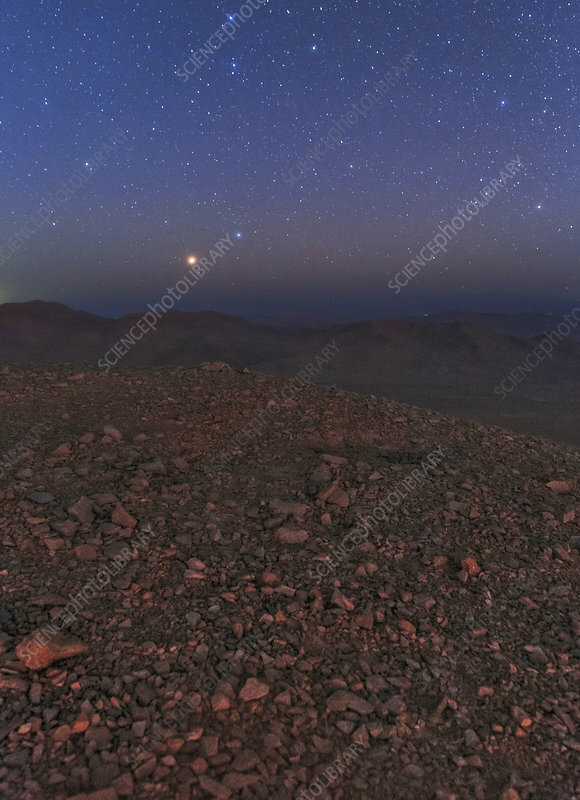 Photographed from Cerro Armazones, a mountain in the Atacama Desert in Chile. This site has been chosen for the European Extremely Large Telescope (E-ELT) project, due be operational in the early 2020s.